We've refined the building process to eliminate the headaches and hassle. Building a home is an exciting adventure, and we’ll support you every step of the way. We walk each of our clients through every stage – from designing or choosing a plan, to finding financing, to making the important selections of flooring, materials, and features. Should any complications arise, we will resolve them promptly and professionally. Our commitment to tailor your home to your needs is a unique Ray A. Williams advantage, and our home buyers appreciate our personal approach. It’s our special combination of creative flair, personalized features, impeccable workmanship and exceptional service that add up to lasting value in our custom homes. We approach each project with integrity, professionalism and pride. Our Housing Trends team uses only the best suppliers and subcontractors, and our homes are held to the strictest standards and tests. We are proud to stand behind each home we build, and our clients will tell you that we made their dream home possible. "We went to the HomeARama house yesterday and left being so thankful we had built with you guys. We have enjoyed being in our home every single day since we moved in. We love our floor plan...we have had so many great memories here already. We have had both friends and family gather many times in our kitchen. And each one of the girls loves their bathroom setup. Thank you for building a house we love." "As we celebrate our 1st year in our new home that you built, we can proudly say that we are still very pleased in the quality and beauty of our Powhatan home. We look forward to many years enjoying this home. Thanks to you and your staff who were professionals." "Being a first time homeowner and building from the ground up was somewhat intimidating. My husband and I had ideas about what we wanted to do and also knew we had a budget to work with. Ray A. Williams Construction was great about working with us from the start, incorporating what we had envisioned and offering up some alternatives if some of our ideas were not within our budget." "My wife and I have been in our home now for about five months and we couldn't be happier. I mean that from a perspective of the quality of the home and our relationship with your company. I was extremely impressed with your company and their willingness to come through following the hurricane and fix items without question and without charge. It has truly been the best buying experience of my life." "Melody and I wanted to write a short note to let you know how much we are enjoying our new home. Having built three, this was the best building experience we ever had. We want you to know how much we appreciated the way you allowed and encouraged us to put some of our own ideas and style into the house. Last minute changes didn't seem to phase you guys. " Our clients trust us to transform their vision into reality and deliver a home that’s perfectly suited to their family. We recognize that building a home is very personal, and we encourage our clients to express their own ideas and styles with custom features. Last-minute changes happen, and our skilled professionals won’t shy away from making adjustments to keep our clients satisfied. 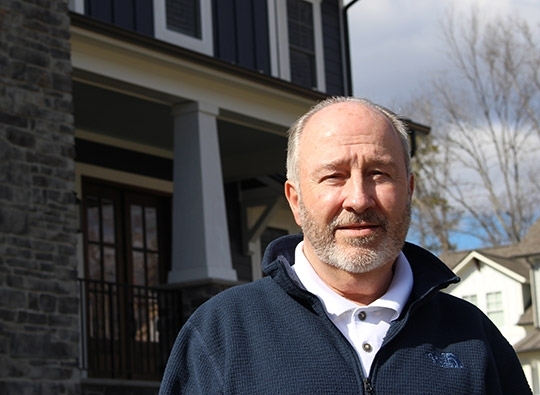 Home buyers enjoy our worry-free process, and they feel at ease knowing Ray personally oversees the site of their future home. We believe in teamwork, impeccable craftsmanship and exceptional service. We build homes that our clients will boast about to their neighbors and enjoy for generations to come – that’s the lasting value of a Ray A. Williams Custom Home.